Would you know how to identify a T. Rex? Could you match a fossil to the dinosaur that made it? Do you know what to feed a brontosaurus? If the answer’s ‘no’ – or even if it’s ‘yes’ – you’ll love this cool book of dinotastic facts. You’ll learn about different dinosaur species, what scientists think dinos looked like, and how fossils have helped us learn about them. 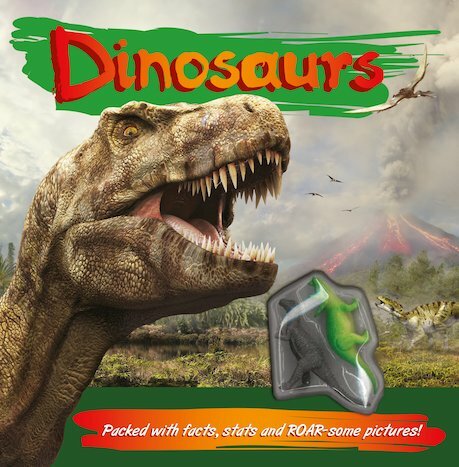 All in amazing colour pictures, timelines and simple bite-size facts – plus T. Rex and Triceratops toys to collect and play with!